Rising passenger figures are a major challenge for airlines, ground handlers, and baggage handling system operators. After all, more passengers also means more baggage which has to be logged, sorted, and traced. If the right track and trace systems and suitable identification technology are employed, operators can achieve reliable identification and, as a result, high throughput. One system solution, lots of applications: reliable identification and traceability for tires, flight baggage, or parcels. Airport operators have been using one of the most popular forms of track and trace systems for airport baggage since 1993: the Airport Luggage Identification System (ALIS) by SICK. ALIS’ built-in bar code scanner achieves very high read rates, guaranteeing the seamless Transportation of baggage along conveyor systems that stretch for several miles. The reliable identification of bags plays a decisive role. Demands on the bar code scanner’s read performance are also rising at a continuous rate, as an increasing number of passengers are checking in online and printing their own baggage labels at home. This can cause the quality of labels to deteriorate. Furthermore, the position of the label on the bag along with the shape and properties of the individual labels can vary significantly. The read performance for transfer lines – where the baggage in the baggage handling system is transported from one airplane to another – tends to be lower than in bag drop lines. This is mainly due to damaged or contaminated Labels. 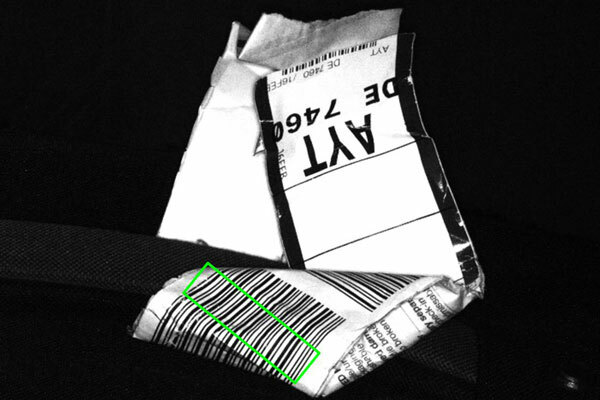 If this results in the system being unable to read the bar codes on the labels (No Read), the bag in question cannot be assigned to its unique Baggage Source Message (BSM). This data set (which is internationally valid) is stored in databases and contains the information needed to sort the bag (flight number, IATA code, etc.). Another challenge for airport operators: Sometimes complete BSM data sets go missing or the link to the database is interrupted or even down on a long-term basis (No BMS). In these cases, the bag cannot be sorted even though the bar code has been read correctly. In both cases (No Read and No BSM), the bags have to be transported to something known as the MES (the manual Encoding station), where they are identified manually – which has a negative impact on throughput and the bag’s transfer time. This can lead to delays. In the worst case scenario, the bags are left behind and the airport operators and airlines have to face higher costs and damage to their reputation. Thanks to the integration of the Lector65x, the system can read even the most crumpled labels. SICK’s track and trace systems are available for integration into various forms of identification technology. For airport baggage identification, vision technology using the Lector65x image-based code readers offers a number of benefits. The primary advantage is a significant increase to the bar code read performance. The amount of work needed for alteration is small: The Lector65x can be installed easily into existing frames without needing to change communication with the control unit. Furthermore, the image-based code readers provide high-resolution Images that can be used for video coding and optical character recognition (OCR). For example, they can use the label to automatically read the BSM information needed for sorting. A further benefit provided by vision technology: An increasing number of high-resolution images are available for each bag. Because the bag passes below several cameras on the conveyor belt, each image is photographed from a different perspective. Overall, you end up with a series of images of the same bag from various different perspectives, improving identification of the bag. Vision technology can also be integrated into a laser-based ALIS system and be retrofitted – all with very little effort. The outcome? An ALIS vision system based on the Lector65x. When it comes to achieving the best possible read performance, selecting the right type of identification technology plays an important role, as does integrating the various forms of technology within a system. To be able to offer the right solution for almost any industry and any corner of the globe, you need to have a global presence, application knowledge, and an extensive product portfolio. Ideally, all of this will flow into full end-to-end solutions; solutions that can be standardized where possible, duplicated, and used in other areas. Track and trace systems like the Lector65x System therefore have a lot to offer. The type of camera (fixed focus or dynamic focus), the number of cameras, and their alignment are customized to the application in question – from reading the top of parcels or tires (the Tire Lector Array) all the way through to 5-sided reading for parcels or flight baggage (ALIS Vision). By integrating the Networking concept from SICK into the MSC800 network controller, the Lector65x System can intelligently be combined with other technology, such as ICR8xx line-scanning cameras, volume measurement systems, laser-based code readers, or weighing scales.